I only had to wait 5 minutes before the City Hall opened, and after going through security I was able to get a few shots before continuing my walk. Details of the area under the dome of the city hall. 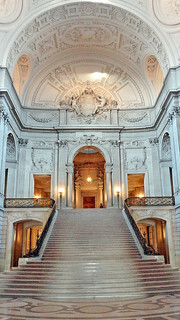 San Francisco City Hall is the seat of government for the City and County of San Francisco. The structure's dome is the fifth largest in the world—taller than that of the United States Capitol by 12.8 m (42 ft). 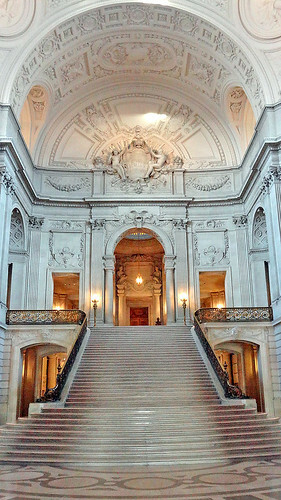 The present building replaced an earlier City Hall that was destroyed during the 1906 earthquake, which was 2 blocks from the present one.